Nerve pain is a common symptom of Lyme disease, Lyme co-infections and associated conditions. One of the main associated conditions of which I speak is that of Fibromyalgia, which is considered a condition as opposed to a disease as it has no known root cause. Originally, Fibromyalgia was characterized by severe, debilitating nerve pain. However, over the past 3 years, the list of symptoms embodying the diagnosis of Fibromyalgia has grown to include other ailments such as brain fog, chronic fatigue, depression and muscle stiffness, just to name a few. The endocannabinoid system’s importance as a neuromodulatory system in the brain has recently began to surface in research. Neuromodulatory systems are made of several neurotransmitters that are not reabsorbed by the presynaptic neuron, and therefore spend excess time in the cerebrospinal fluid modulating overall brain activity. Neuromodulators include neurotransmitters such as serotonin and dopamine, both of which play significant roles in pain perception. 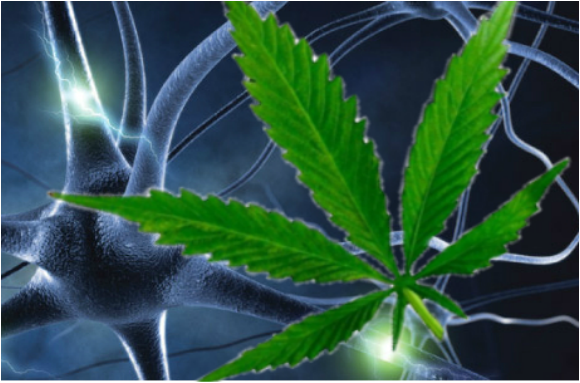 The brain’s endocannabinoid neuromodulatory system is involved in a plethora of physiological functions related to pain, leading scientists to hypothesize that individuals with Fibromyalgia pain have dysfunctional endocannabinoid neuromodulatory systems, thus lending to their grand hypothesis that the cannabinoids in cannabis can bind with malfunctioning CB1 (cannabinoid receptor type 1) and CB2 (cannabinoid receptor type 2) receptors in the brain’s endocannabinoid neuromodulatory system to repair the malfunction and relieve the patient of pain. After conducting a study based partly on this hypothesis, the National Pain Foundation concluded medicinal cannabis may be far more effective at treating pain from Fibromyalgia than pharmaceuticals. The study compared Savella, Lyrica and Cymbalta, the top 3 FDA approved drugs currently prescribed by physicians for Fibromyalgia pain. Out of 1,300 patients only ten percent felt Lyrica or Savella were effective in any way, and only eight percent reported receiving any pain relieving benefits from Cymbalta. Even more disheartening is the fact that over sixty percent of the thirteen hundred patients who participated in the study did not receive any pain relief at all from the medications. However, sixty-two percent of the patients reported cannabis was “very effective” at relieving their pain and thirty-three percent reported that cannabis offered them mild to moderate pain relief, while only five percent reported cannabis did not help at all. Shelley is the former Editor-in-Chief of Public Health Alert, and a health writer for various sources including Collective Evolution, MindBodyGreen, Natural News, and more. 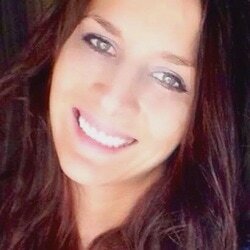 She is trained in herbalism, diet and nutrition, bach flower remedies, and herbal materia medica.